We’ve heard reports about the Play Store coming to Chrome OS over the past few months, with information slowly churning through the rumor mill. 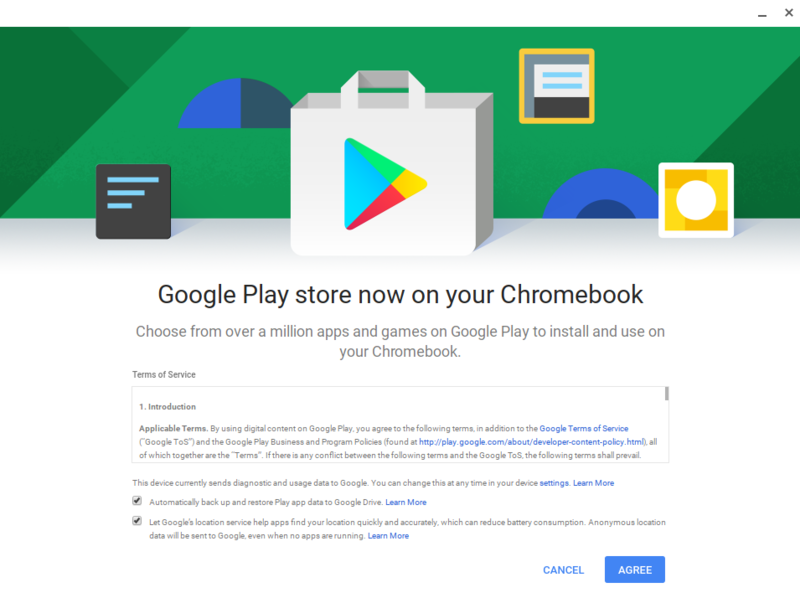 It seems as if the speculation has finally come to fruition, as Google has begun to officially roll out the Google Play Store to certain Chromebooks running the latest version of Chrome OS. It has been available for developers since June, so it’s good to see some movement in the right direction. Expanding on the rollout part, the process to enable the Play Store is pretty easy. Provided that you have a supported model (Acer R11 or Asus Flip), one can simply enable the Store via a switch in the settings menu. 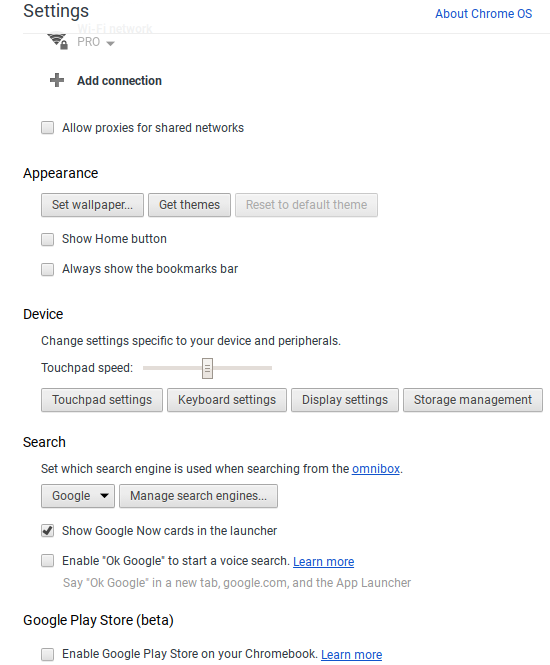 You have to be running the Stable 53.0.2785.129 version of ChromeOS in order for it to show up. 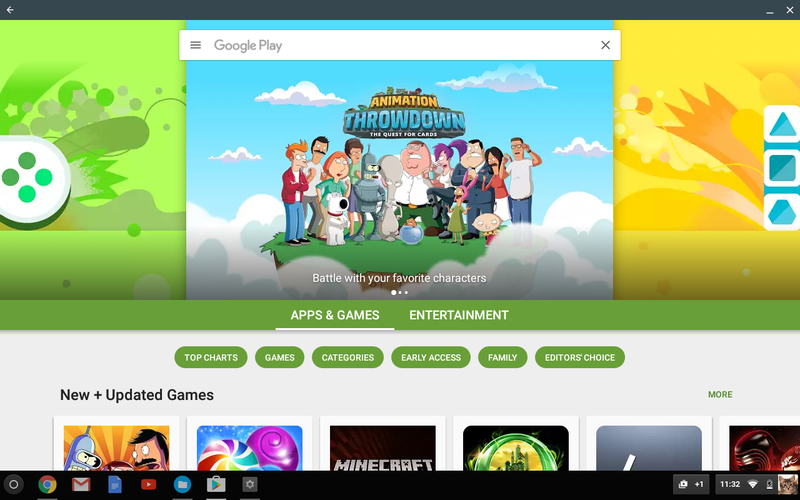 The Play Store should now be running and installed on your Chromebook. Once the Play Store has been officially rolled out worldwide, it should be available on all Chromebook models. The compatibility of Android apps on the Chromebooks remains a relatively numb topic so far, but so far apps seem to support it relatively fine. 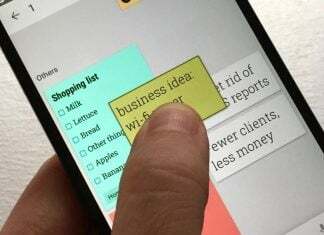 One may, however, find it difficult to adjust to the apps when using a trackpad or giant touchscreen.